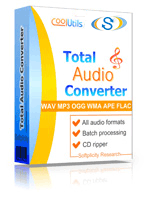 Convert OGG to WMA audio files online and for free! Use the OGG to WMA Online Converter or take our batch App for more! Description OGG files store compressed audio signal. The sound is encoded with Ogg Vorbis compression algorithm. OGG resembles MP3 but provides better sounding compared with MP3 track of the same size. It may contain audio meta data such as information about performer and track parameters. Being a container for storing audio information OGG can contain different sound compression types like FLAC or Speex. OGG file extension may also refer to Salt Lake city game or OriginLab graphic files.